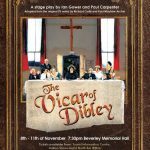 A comedy stage play adapted from the original TV series, come and howl at the hilarious antics of the Vicar and her Parishioners. 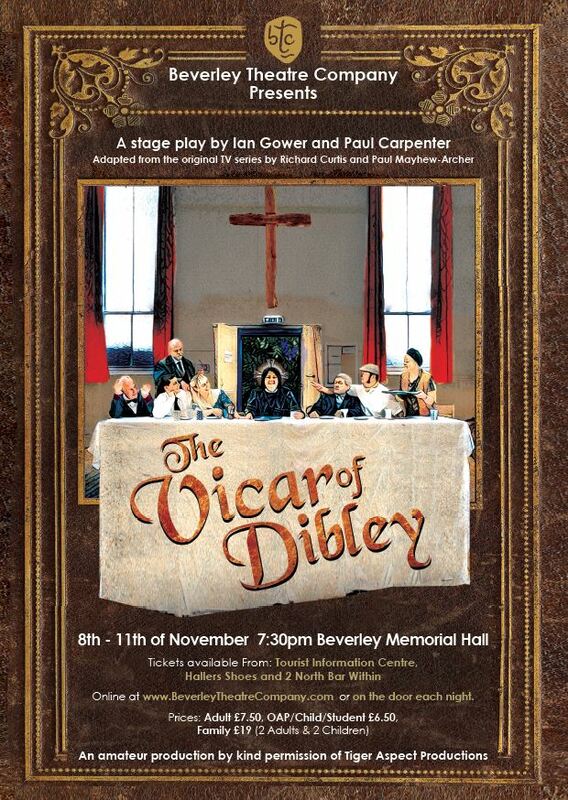 8th -11th November at 7:30pm. 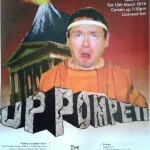 On for four nights only, get your tickets early to avoid disappointment. Concessions £6.50 – Adults £7.50 – Family £19.00 (2 adults + 2 children). Hallers Shoes, North Bar Within, Beverley. 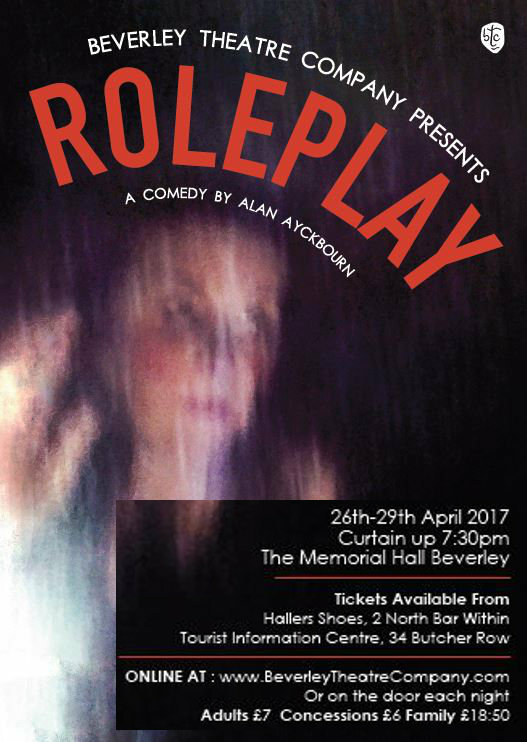 Online Here at Beverley Theatre Company. or On the Door at Beverley Memorial Hall. From: Hallers Shoes, 2 North Bar Within. or Tourist Information, 34 Butcher Row. Synopsis: ‘A young well-to-do couple, living in a posh docklands apartment, have planned a civilised occasion where they hope to introduce their respective parents and also announce their engagement. The tense situation escalates with the arrival of two unexpected guests, a feisty lap-dancing gangster’s moll and her burly gun-toting minder. What her parents (a bigoted northern stereotype and his dim twittering wife) and his mother (a toy-boy chasing lush) find when they arrive reveals that the bourgeois guests, under their respective veneers, are far more frightening than the gate crashers. Dirty Rotten Scoundrels, Musical. 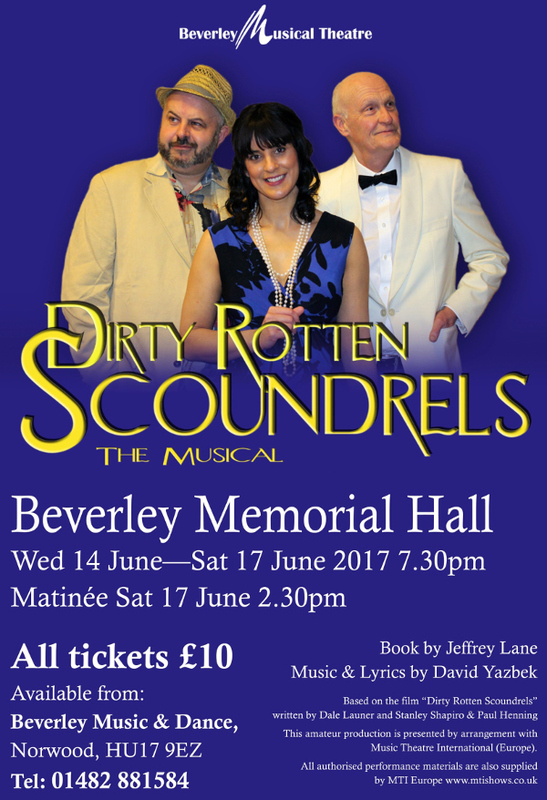 Wed 14th to Sat 17th June 2017 -7:30pm plus Saturday Matinee 2:30pm. 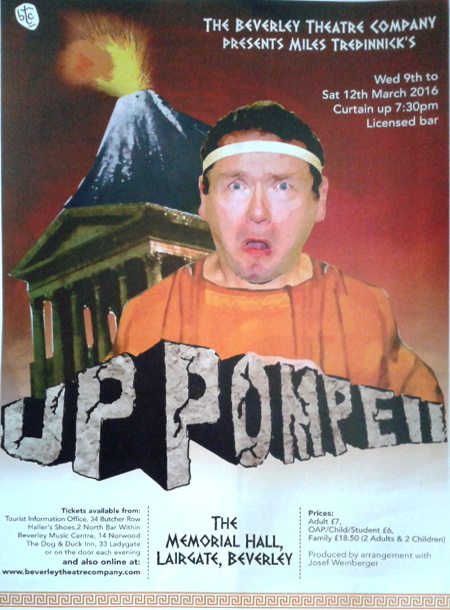 All Tickets £10 – from Beverley Music & Dance, Norwood. Tel: 01482 881584. Based on the popular 1988 MGM film, it takes us to the French Riviera for high jinks and hilarity. A sophisticated, suave, mischievous and hysterical musical comedy features a delightfully jazzy score by David Yazbek. 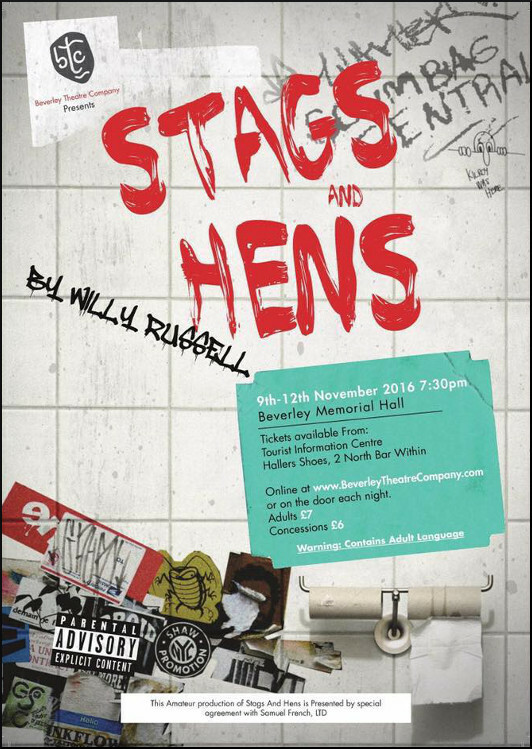 Stags and Hens a comedy by Willy Russell. 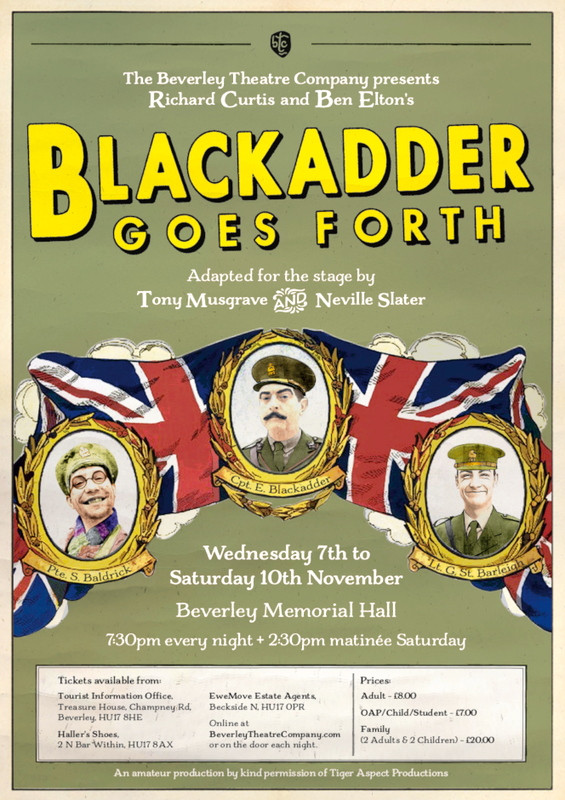 Wed 9th to Sat 12th November. 7:30pm. or from Hallers Shoes, 2 North Bar Within. This “comedy of convenience” is set in a trashy 70s disco in Liverpool. The action is centred mainly in the gents and ladies’ toilets of the nightclub where both Linda (The Bride) and Dave (The Groom) have decided to hold their stag and hen nights, not knowing that their fiancee is at the same venue that night. When Linda’s ex-boyfriend, band-guitarist, Peter, arrives and offers her an escape she is faced with a difficult decision – to stay or to go.